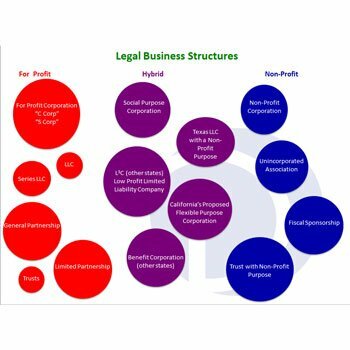 What kind of business structure is the best choice for your new business? Sole Proprietorship? LLC? There are a lot of options, and at first it may seem a little scary since your structure will lay the groundwork for how your business will operate. But it’s really not that complicated. In fact, it’s similar too (if not easier than) deciding what dessert to bring to a family potluck dinner. Do you doubt me? Read on! At first glance the decision seems simple, but the more you think about it – the more confounded you get. With Passover and Easter upon us, many of you will be getting together with family and friends. 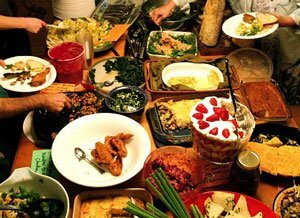 More often than not, these gathering are usually a type of potluck style meal. Once you’ve been invited, you’ll probably say something like, “Yes, I’d love to come. Can I bring something–a salad or a dessert?” It seems like good etiquette to offer to bring a dish. Sometimes a guest will bring wine, although I have never understood why it was acceptable to bring a bottle of wine but not a six-pack of beer. Some say it’s just a matter of the company you keep but I will save that discussion for another post. Personally, I usually offer to bring a veggie or salad but avoid dessert. Why not dessert? Too many choices!! There are literally hundreds of recipes for a good dessert to bring to a potluck!! You have to decide if you should go healthy or decadent. Then it’s a matter of homemade or store bought. Even after you nail down those decisions – you still have a ton of options left in each category. If you go with something decadent and filled with fat, carbs, gluten, and calories you might enjoy the Mardi Gras Chocolate Yummy. I love this one so much that I have no problem repeating it for a family get-together. Homemade pecan shortbread, silky chocolate pudding, sweetened cream cheese, and fresh whipped cream, mmmmm. Click here for a picture of the Chocolate Yummy and link to the recipe. Or, if I know the feast includes kiddos, I also consider cookies, like the Chocolate Chip Potato Chip Cookie, sooo good that the recipe has a legal disclaimer warning of its addicting deliciousness. On the flipside of going decadent you might choose to cater to those with dietary restrictions and be sensible with an organic fruit compote or an apple tartlet. It really depends on who you intend to serve. For instance, at the end of a traditional Korean meal, dinner guests expect fresh sliced oranges at the end of the meal, which is very, very satisfying conclusion after all of the spicy goodness and garlic. A sugary sweet at the end of this kind of meal would seem somehow wrong. In the hot Texas summer, nothing is better than a cold slice of watermelon! Once you land on a direction for your dessert you have to decide if you’re going play the role of an amateur gourmet cook and spend hours in the kitchen creating a masterpiece of your signature dessert. Or would you rather just swing by the store and pick out a fancy cake on the way to the party? 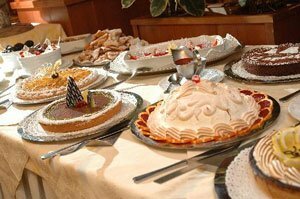 The only way to make a choice on what dessert to bring is to consider a number of factors, like the time and skill level you have to create your dessert, the ingredients available, and who you are serving. By the way, no matter what you choose I would strongly advise against bringing marijuana-laced food like the California teacher who ended poisoning her co-workers at a school potluck. My guess would be she tasted her own dessert a few too many times to make a good choice on that one. What does this have to do with choosing your business entity? It’s same way when you select business entity. (Click on the infographic for a larger downloadable version.) The number of choices could be overwhelming. The red choices are your traditional for-profit choices. The blue choices are your traditional non-profit choices. 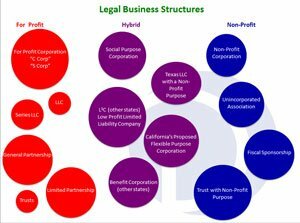 The purple choices are the “hybrid” choices, a blend of for-profit and non-profit motives. Wait, don’t spin out of control! It’s completely do-able to figure this out! Like selecting a dessert for your potluck dinner, it’s just a matter of whittling down your choices by considering who you are and who you intend to serve! 1. How much time do you have? Like a multi-layer cake made from scratch, a 501(c)(3) non-profit is a time-intensive endeavor (and the end product is TOTALLY worth all the effort). You might achieve basically the same goal by entering into a fiscal sponsorship (like buying the cake at the bakery). 2. Think about the tax consequences. Taxes are similar to counting calories—plan ahead and don’t just indulge without thinking about it first or you might regret it! 3. Who do you serve? Do the people you serve want a fresh fruit salad or a homemade slice of pie? Are they expecting to work with you as a for-profit business? Or are they in between? Want to know more? These are just a few of the factors to consider when selecting your business structure. Ask me about our complete Checklist.